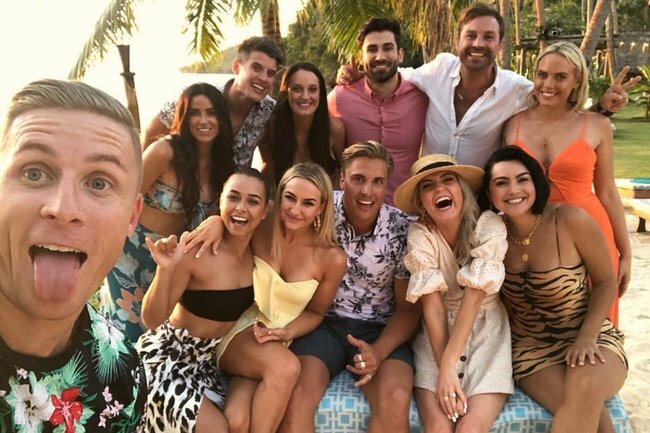 What do Bachelor in Paradise contestants get paid in Australia? Bachelor in Paradise is finally back and we have A LOT of questions. From wondering what holiday shirts Osher will wear this season to who Brooke Blurton will end up with in the end, there’s a lot we need to know. But there’s one question in particular that we just can’t stop thinking about – how much do these people actually get paid to sip on mango daiquris by the pool? Speaking to Hit 103.5’s Carly and Seamus yesterday, Bachelor in Paradise star Ivan Krslovic (yes, *that* avocado guy) has shared how much he gets paid on the show and well… it’s not much at all. Richie and Alex confront each other on Bachelor in Paradise. Post continues after video. “Yeah, we definitely do [get paid],” Ivan said, as he confirmed the contestants are paid around $100 to $200 a day. “Most of us have got full time jobs so we need money to pay for bills and stuff… it’s enough to get us through the week,” he added. But according to The Daily Telegraph, it seems not everyone on Bachelor in Paradise is being paid the same as Ivan. Although the publication claimed that the majority of the cast were making up to $500 a day on the show, they also reported that former Bachelor winner Alex Nation could be receiving 10 times more than her fellow contestants on the show. Yep, that’s $5000 a day to sit around a resort in Fiji. Um, sign us up now. On the US version of the show, it’s much the same. According to Reality Steve, Bachelor in Paradise contestants in the US version can make anywhere between $7000 and $15,000 total for a single season. While some contestants are paid a lower rate per day on the show, others are reportedly paid a higher flat rate fee. Earlier this year, former Married At First Sight contestant Telv Williams revealed that stars get paid a daily rate of $150, tax free on the reality show. "You get paid $150 dollars a day," Telv said. Image: Instagram. On The Bachelor and The Bachelorette, contestants are reportedly paid even less, with one source revealing in 2016 that each contestant received $90 a day. We&apos;re pretty sure we know exactly how much MAFS contestants get paid and... what.